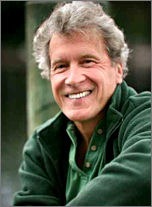 John Perkins spent three decades as an Economic Hit Man, business executive, author, and lecturer. He lived and worked in Africa, Asia, the Middle East, Latin America, and North America. Then he made a decision: he would use these experiences to make the planet a better place for his daughter’s generation. Today he teaches about the importance of rising to higher levels of consciousness, to waking up — in both spiritual and physical realms — and is a champion for environmental and social causes. He has lectured at universities on four continents, including Harvard, Wharton, and Princeton. His book, The New York Times bestseller, Confessions of an Economic Hit Man, (now in paperback), tells the story of his remarkable life. His newest book, The Secret History of the American Empire, zeroes in on hot spots around the world and, drawing on interviews with other hit men, jackals, reporters, politicians, and activists, examines the new geopolitical crisis and what can we do to change things for the next generations.